Khalili Collections | Hajj and The Arts of Pilgrimage | The Masjid al-Haram..
Safouh Izzat Naamani was born in Beirut in 1926 and very early on became fascinated by photography. He first travelled to Saudi Arabia in 1951 in order to photograph political events and in 1954 travelled to Mecca specifically to photograph the Masjid al-Haram and the Hajj. 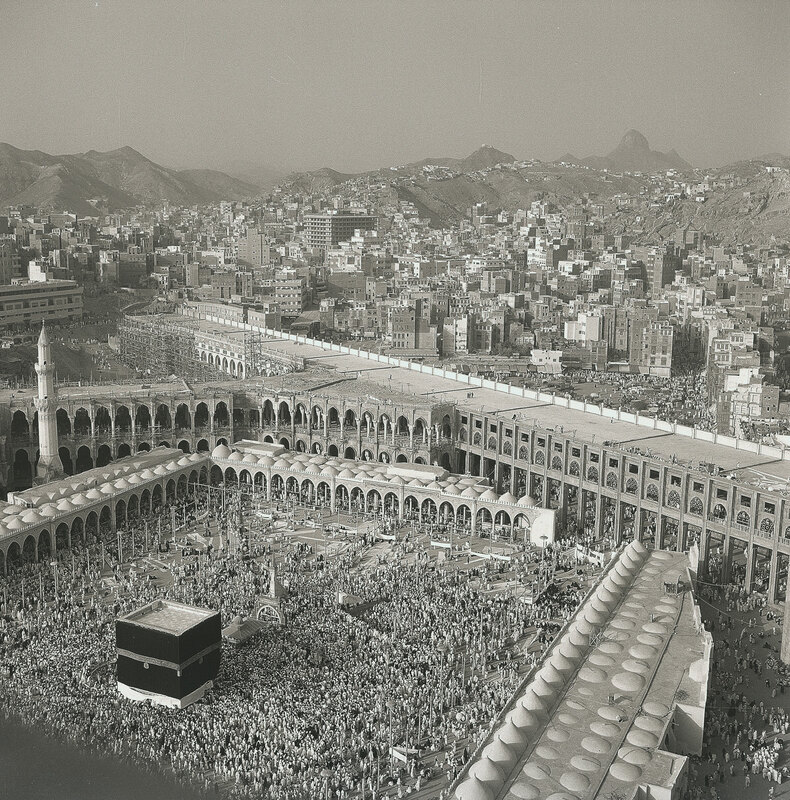 Naamani was one of the first photographers to capture Hajj from the air and his aerial photographs of Hajj and Mecca are unique in this period. His photographs from the 1960s capture the newly expanding sanctuary. This photograph was taken during the second phase of the Saudi extension, during the reign of King Faisal (r. 1964-1975). The photograph clearly shows the newly covered Safa-Marwa area for sa'i in construction; also visible is the imposing Jabal al-Nour mountain to the right of the skyline.